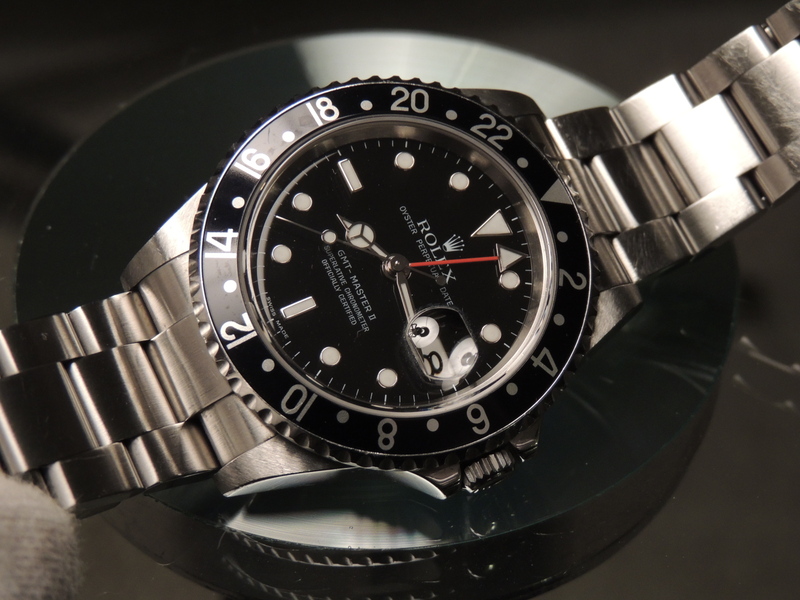 A stainless steel pre-owned gentleman’s 2003 Rolex Sea Dweller Submariner 16600 automatic wrist watch, black dial with luminescent hourly dot, baton and chevron markers, date aperture to three o’clock, black rotating bezel, tonneau-shaped case fitted to a brushed stainless steel finish Oyster bracelet with flip-lock clasp. 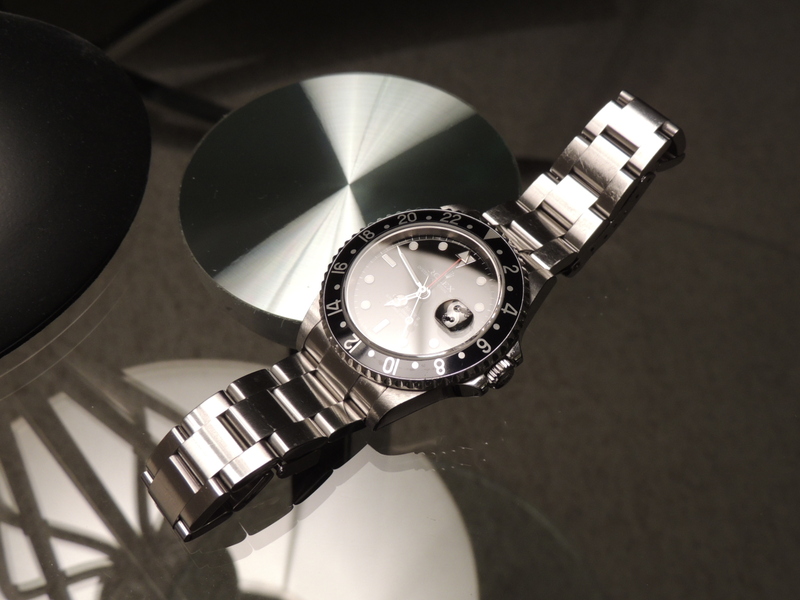 A stainless steel pre-owned gentleman’s 2011 Rolex Submariner 116610 LN automatic wrist watch, black dial with luminescent hourly dot, baton and chevron markers, date aperture to three o’clock, green ceramic rotating bezel, tonneau-shaped case fitted to a brushed finish stainless steel Oyster bracelet with Glidelock clasp. A stainless steel pre-owned gentleman’s 2008 Rolex Submariner 16610 LV ’50th Anniversary’ automatic wrist watch, black dial with luminescent hourly dot, baton and chevron markers, date aperture to three o’clock, green rotating bezel, tonneau-shaped case fitted to a brushed finish Oyster bracelet with flip-lock clasp. A stainless steel pre-owned gentleman’s 2011 Rolex Daytona Cosmograph automatic wrist watch, black dial with luminescent hourly batons, tachymetric scale bezel, tonneau-shaped case fitted to a stainless steel bracelet with folding Oysterlock safety clasp plus Easylink 5mm comfort extension link. 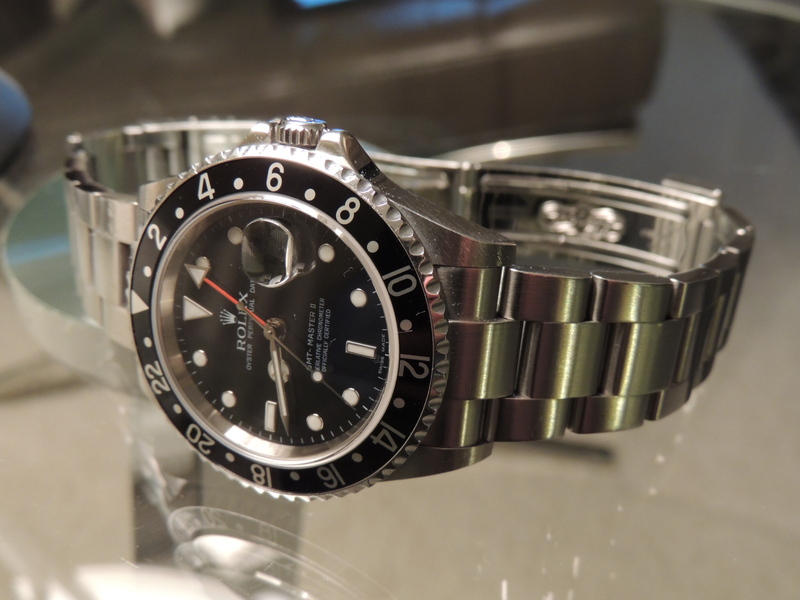 A stainless steel pre-owned gentleman’s 2011 Rolex Submariner 116610 LV automatic wrist watch, green dial with luminescent hourly dot, baton and chevron markers, date aperture to three o’clock, green ceramic rotating bezel, tonneau-shaped case fitted to a brushed finish Oyster bracelet with Glidelock clasp. 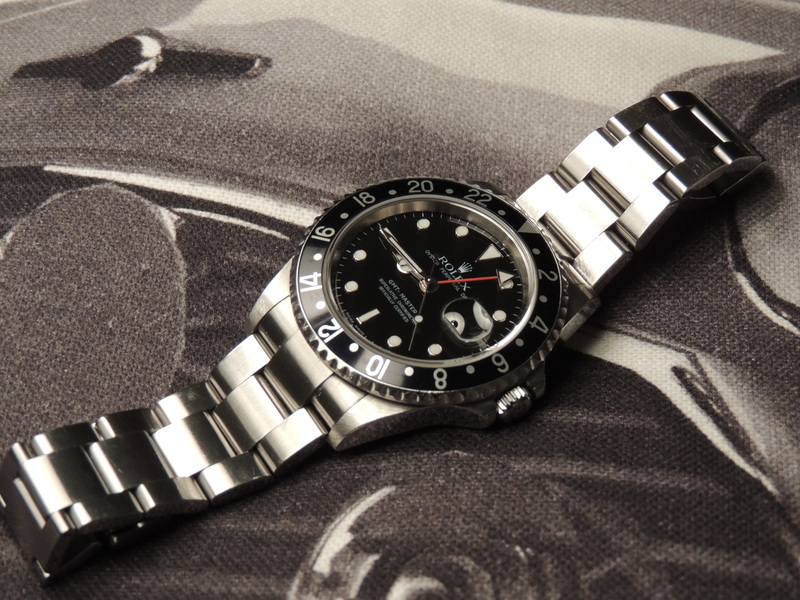 A stainless steel pre-owned gentleman’s 2007 Rolex GMT Master II 16710 LN automatic wrist watch, black dial with luminescent hourly dot, baton and chevron markers, date aperture to three o’clock, independently set twenty-four hour hand, black rotating bezel, tonneau shaped case fitted to a brushed finish Oyster bracelet with Flip-Lock clasp.